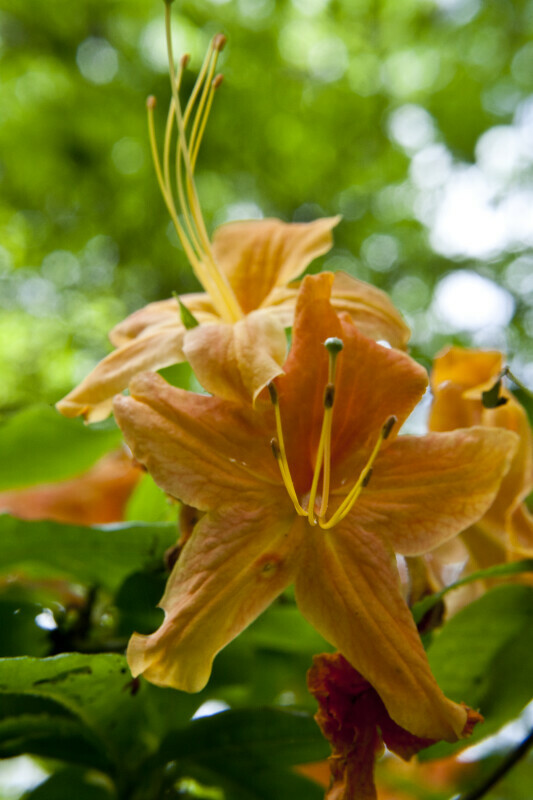 An orange flower of a pinkshell azalea (Rhododendron vaseyi) at the Arnold Arboretum of Harvard University. The yellow extensions with brown tips are called filaments; the brown tips are anthers. The yellow extension with a green tip is called a style; the green tip is called a stigma.